There has been a great proliferation of fiction in our day. There has been an even greater decline in quality. Since Ulysses, if you accept Ulysses as a great novel, there have been very few really great novels in English. Lady Chatterly, The Rainbow and Women in Love, Ford Madox Ford’s Tietjens series, really one novel; some of Sherwood Anderson; the unfinished promise of William Carlos William’s First Act; a few others. The Green Child is fully the equal of any of these. although it is of a rather more special kind. Graham Greene speaks of it as surcharged with a sense of glory—gloire—that special lustre and effulgence which Aquinas marks out as the sign manifest of great works of art. 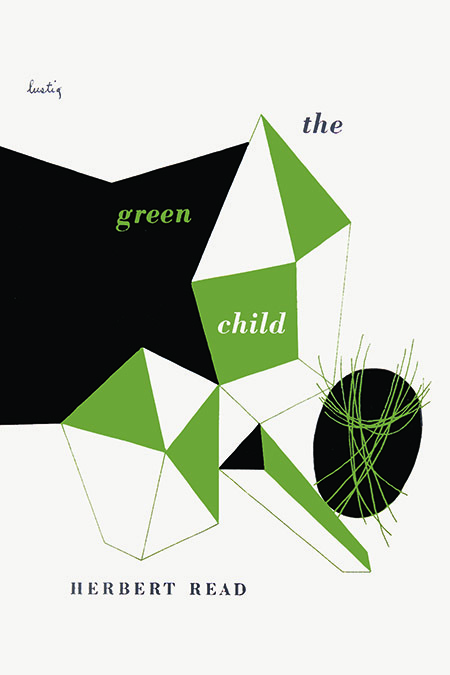 Certainly The Green Child has it—an unearthly, hypnotic radiance. Partly this is due to style as well as to the temper and depth of the mind and sensibility. (Or is this a definition of style?) Anyway, it is hard to believe your eyes as you read. The sheer perfection of the writing is very rare in English since the loosening of standards in nineteenth-century fiction. Landor wrote this way, and Bagehot, and Mill, and Clerk Maxwell, and various explorers and scientists, but the novelists mostly have forgotten how. Read has, in addition, something that Pilgrim’s Progress has, or Walton’s Compleat Angler, or Gilbert White’s Natural History of Selborne, or, on a different place, Robinson Crusoe. These books are in some sense allegories, archetypes. They have, scaled down, what you find in Homer, Le Morte D’Arthur, Rabelais—mythopoeia. And they have something else, something that maybe is essential to myth, and which you have to have if you are going to capture the mythic quality of the past, and which, for all their chatter about Le Mythe et Le Verbe, the muggy surrealists never had—clarté. I have never gone with Walton along flowery banks by calm rivers after the gallant trout without feeling as though I were walking into Blake’s Crystal Cabinet, into a visionary world where the grass and flowers were like gems and the water like lambent æther, where the air contained something better, more noble, than oxygen and nitrogen. In The Green Child reality is again entranced and translucent with the light of a natural glory behind it. What is more remarkable, one gradually comes to realize that it is about this state of being as such that Read is writing. It is impossible to believe that he sat down and did it deliberately. One cannot be deliberately glorious. But certainly the book is one of the most sustained products of conscious rapture in our literature. It is really “gripping.” You slip deeper and deeper into the soft clench of Read’s rapture. This vice-like grip of vision, so soft and unobtrusive, but so inescapable, is so powerful because it is, finally, the vision of reality. There are no raptures in hallucination, only the tawdry residues of somebody else’s frustrations and crippled libido. All of the books I have mentioned have a conspicuous feature in common. They are all written with full respect for Blake’s minute particulars, for Sam Johnson’s ineluctable modality of the visible. They are all “action fiction” first of all. They are sheer narrative. In recent years psychological-allegorical fiction has become very popular, but most of it has suffered from the worst possible faults that such writing can have—imprecision, subjectivity, and psychologizing. It is not enough to describe the situation realistically, like Gregor’s sensations on that dreadful morning he found himself a bug. Realism is not enough. Apelles’ flowers drew bees and butterflies to them, but the flowers of allegory must give off perfume and be sweet with honey. This is why Hawethorne’s retellings of Greek myths for children are so much his best work. Baucis and Philemon live outside of Salem in a brighter and cleaner West Peabody, Hester only in his own troubled mind. I am not going to tell you the meaning of Read’s allegory—the secret of his myth. At Eleusis the priestess rose from the subterranean marriage bed of the hierosgamos and exhibited an ear of barley, and today, scholars in their ivied halls by the Cam and Thames and Charles dispute about what she meant. Sink into his developing vision, led on by the careful loving delineation of reality—the village where he was born, the pampas and the plateaux of dream, the caves he explored as a boy, finally the vision will crystallize around you and shut you in and the story ends in an equivocation that seems to undo that has gone before. What does it mean? What does the Tao Te Ching means? What does the Book of Changes, that immemoriably subtile document, mean? All myth, all deep insight, means the same as and no more than the falling of the solar system on its long parabola through space.